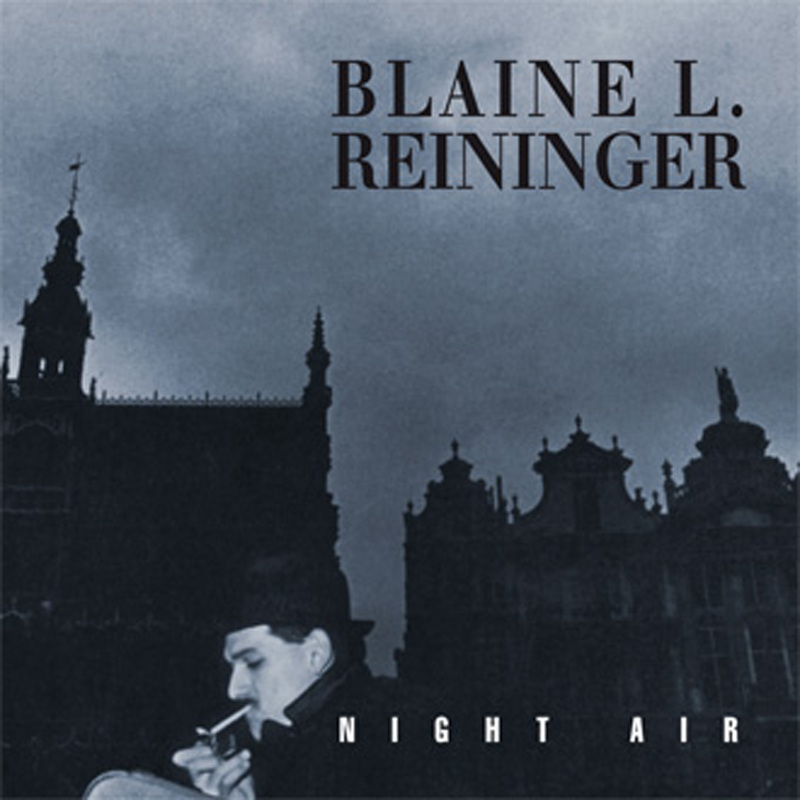 Brainwashed - Blaine L. Reininger, "Night Air"
Blaine L. Reininger, "Night Air"
Newly reissued in a much-expanded edition, Night Air was recorded in 1983, not long after Reininger left Tuxedomoon to try his hand at a solo career as an expat in Belgium. Described by Les Disques du Crepuscule as a classic (which it may very well be in some circles), Night Air is certainly a curiously moody and idiosyncratic bit of art-damaged pop music that is very much of its time: Reininger borrowed a bit of the gloom from post-punk and a bit of the larger-than-life pomp from big glossy pop to carve out his own strange niche of cosmopolitan, theatrical pop and noirish atmospheres. Night Air feels like Reininger attempted to forcibly distill late-night existential crises, hip European art scenes, and chain-smoking in coffee shops into something resembling a macabre, brooding, and vampiric Duran Duran. As such, a lot of Night Air’s appeal is of the nostalgic variety, but it is unquestionably a unique release and there are quite a few intriguing gems and rarities included in the extras. In fact, the bonus material is frequently better than the actual album. Lamentably, I have not heard the entirety of Reininger’s 1982 debut album (Broken Fingers) that he recorded while he was still a member of Tuxedomoon, but based upon the live songs included on Night Air's second disc (Live in Bologna), that period seems like it may have been his period of maximum deranged, free-wheeling creativity. The handful of Broken Fingers' pieces performed in Bologna sound either downright psychotic or gleefully ridiculous, like was he venting absolutely all of his impulses that were too outré for Tuxedomoon (though such a thing is admittedly difficult to imagine). On the harrowing "Spiny Doughboys," for example, he sounds downright Scott Walker-esque, while "Volo Vivace" is a dark and driving synthpop groove embellished with a wonderful Eastern European-sounding violin solo (though Reininger puckishly undercuts its seriousness by unexpectedly tossing off a verse from The Trashmen’s "Surfin' Bird"). Elsewhere on the live disc, he unleashes an ode to "greasy gigolos" in Spanish that sounds like a mariachi piece bizarrely adapted for fretless bass and violin, as well as a legitimately menacing and unhinged homage to NYC entitled "Uptown" (though it too is partially undercut, this time by an introductory rant about graffiti done with a hammy NYC accent). Curiously, nothing like any of those songs appears on the formal Night Air album, which seems to instead take its template from Broken Fingers' title piece, which kind of sounds like a moodier, slowed-down ABC with violins. On one hand, I can understand that direction completely: "Broken Fingers" sounds like a smarter, more downcast version of the era's radio-friendly pop, so it was logical for Reininger to believe he could potentially launch a viable solo career with an entire album in that vein. Unfortunately, he also sanded away all of his playful and experimental edges in favor of relatively conventional "pop" structures and an excess of dramatic intensity. The best pieces on Night Air are the few where Reininger and his collaborators employ a bit of a lighter touch, such as the lurching and tenderly wistful "Ash and Bone" or suavely burbling internationalist pop of "A Café Au Lait For Mr Xyzptlk." 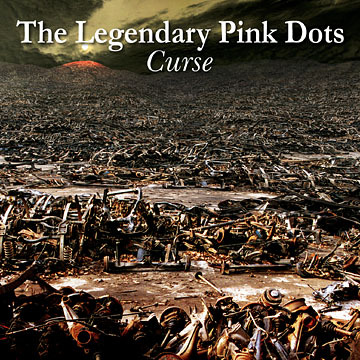 More frequently, however, Reininger lays on the intensity and urgency with a trowel, describing his fellow subway passengers in "Mystery and Confusion" (the album's single) at a dramatic pitch that his contemporaries tended to reserve for songs about Bloody Sunday or the plight of Aborigines. Elsewhere, "Birthday Song" is pure gloom-shrouded misanthropy, as Reininger looks out his window to recoil at the "half-witted morons" who "shuffle along," "get uglier every day," and "do not celebrate your birthday." That said, Tuxedomoon’s Steven Brown contributes some smokin’ saxophone near the end, so it gets a bit livelier as it progresses. The title piece maintains a similarly urgent tone, but fares a bit better, as it is bolstered by Alain Goutier's fat, ribcage-rattling bass throbs and a fine Middle Eastern-sounding violin melody. It kind of sounds like a Paul Bowles novel transposed into the Brussels night. There are also some curious oddities lurking among Night Air's original ten songs, ranging from the woozily carnivalesque "Intermission" to a cheerfully burbling pop song about "beak people" ripping each other apart. Most of the stronger pieces, however, lurk among the bonus tracks culled from various singles. I especially liked tender and comparatively understated "Bizarre Bizarre," which was previously relegated to the B-side of the "Mystery and Confusion" single and thus doomed to eternal obscurity until now. There are also some fine instrumental collaborations culled from elsewhere, especially Reininger’s work with Durutti Column on a Richard Jobson piece and a version of Tuxedomoon’s "Crash" remixed by The Residents. While I tend to loathe live albums, I have to make an exception here. as the second disc is probably where Reininger shines the brightest. In fact, the Live in Bologna disc unwittingly helps illustrate what an ephemeral and quixotic period in Reininger’s career Night Air captures, as 1982’s Broken Fingers seems considerably more playfully anarchic and eclectic, while the concert from 1984 shows Reininger to be a multilingual, violin-shredding raconteur who shifts guises and tones from one song to the next (evil Lou Reed, lonely cowboy, boisterous street musician, etc.). That Bologna Reininger feels like the real Reininger, whereas Night Air feels very much like a square peg deciding to get serious and force itself into a round hole. Also, a lot of the Night Air songs performed at the Bologna show seem to have improved considerably from the studio versions, as they are more prone to erupt into wild violin solos and the live arrangements tend to replace the omnipresent fretless bass with fresh new synth motifs. And even though it highlights some of his more dubious decisions as a lyricist, "Magnetic Life" shows that Reininger seems much more comfortable riding a funky electro groove than he does lurking in goth-tinged gloom. Much like a lot of pieces in this collection, however, that stab at art-damaged funk is just an intriguing glimpse at one of the many promising directions that Reininger’s solo career might have gone if he had explored them further and not returned to Tuxedomoon. I quite like a number of them, even if they all seem like radically different artists (Reininger as Talking Heads, Reininger as Suicide, Reininger as avant-garde violinist). Not many of those facets made it onto the comparatively monochromatic original album though, making this expanded reissue an inspired redressing of a past mistake: Blaine L. Reininger was unquestionably both an intriguing fellow and a restlessly creative artist eager to take surprising risks with his solo career in the early '80s, but the original Night Air did not quite capture that vibrancy and passion. This latest incarnation goes a long way towards illuminating that previously obscured vitality.